For the past several years, through my day job, I have been involved in a complicated, and sometimes contentious, process to try and set standards for certifying fair trade clothing. The group of businesses, nongovernmental organizations, and advocates that committed to an experimental pilot has released our report. Workers in certified factories earned 15 percent above local minimum wage on average, and up to double the minimum wage in one facility. Distribution of the Fair Trade premium resulted in tangible change in the local community (e.g. building a school in war-torn Liberia, and distributing cash bonuses equivalent to one week’s pay). Impact (as measured by Fair Trade premiums) tripled each year of the program, due to availability of certified products through national channels like REI and Zappos.com. There is no one-size-fits-all approach to worker representation in cut-and-sew factories, and worker training is needed to ensure that all employees understand their rights, including the right to freedom of association as required by Fair Trade standards. The report includes a range of recommendations, including creation of two distinct certifications, with corresponding labels for Fair Trade Certified Cotton and Fair Trade Certified Sewing. The goal of this is to increase impact for subsistence cotton farmers AND factory workers, and communicate clearly to consumers. Second, they also identified the need for a more inclusive and flexible approach to the certification of artisan-made apparel and textiles. These and all other recommendations made by the MSG will be adopted in the Fair Trade apparel program moving forward. Read on.... download the report. 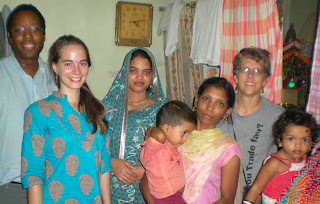 As part of the apparel pilot, a group of us traveled to India in 2011. 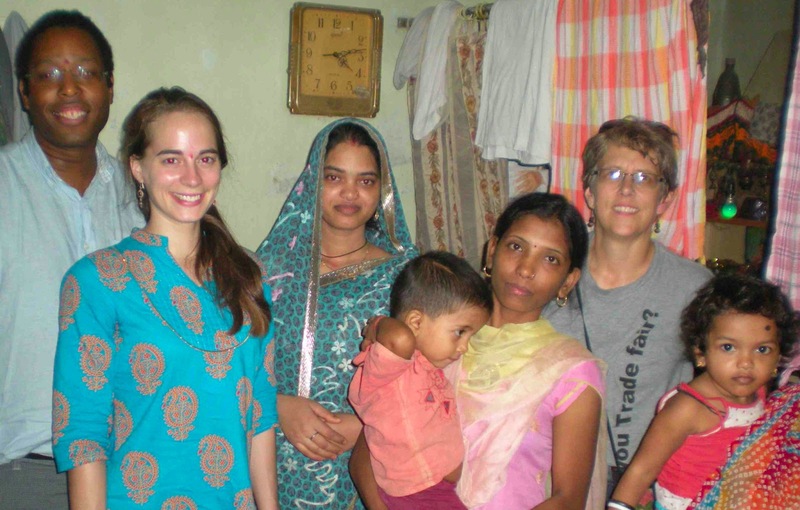 Here my colleagues Damani Patridge & Julia Wilbur meet with a family that is a part of the fair trade organization, Marketplace India in Mumbai. Hello - thanks for posting a link to this and we look forward to reading the report. Arthur & Henry do ethical menswear, using organic and fair trade cotton and we're very keen to keep on top of best practice as to how we can maximise positive impact. Glad to know about your company and the usefulness of the report.